Three Chinese National who are wanted in Brazil and China for murder were this afternoon jailed for entering Guyana illegally. 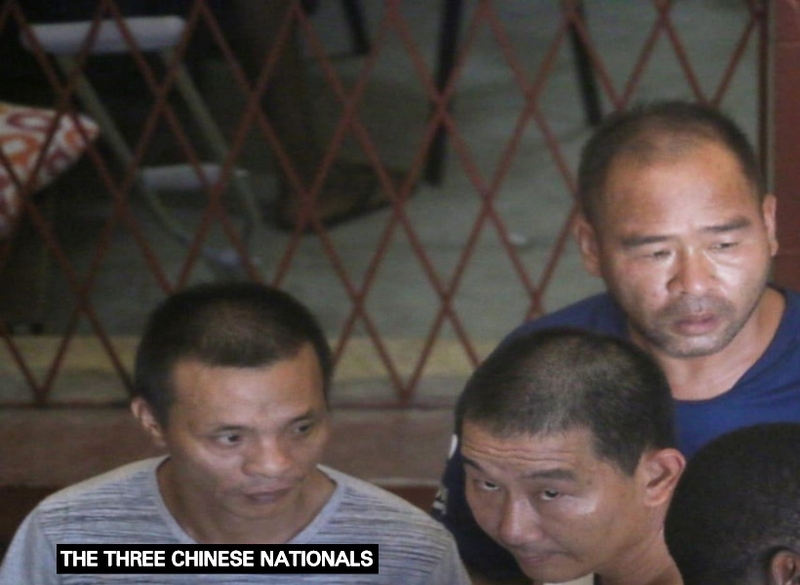 The men, Zhou Ou, Yiz Zheng and Dagvi Wong appeared before Chief Magistrate Ann McLennan in the Georgetown Magistrates’ Courts. It is alleged that the trio between December 1 and December 31, 2018, at Lethem, they entered Guyana by using a land frontier and disembarked without presenting themselves to immigration officials. The men pleaded guilty to the charge after it was read to them by the Magistrate. Facts presented by Police Prosecutor Gordon Mansfield stated that on February 5, 2019, the defendants were intercepted at Lethem by police. They were asked to present their travel documents and on inspection it was observed that they did not present themselves to immigration officers. The court heard statements were obtained from the defendants through an interpreter and they admitted to the offence. The men told the court that they came to Guyana with a bus and did not present themselves to an immigration official. Police in Guyana then made contact with law enforcement officials in China and Brazil and they were informed by officials that the defendants are wanted in Brazil and China for murder. Further investigation were carried out, hence they were arrested and charged for illegal entry. The Magistrate after listening to the Prosecutor sentenced the men to two months imprisonment for the offence. Upon serving the jail time, the men will be escorted to the nearest port of exit and deported to China.